Hi. 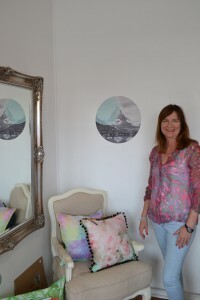 My name is Tania and my passion for interior design started many years ago. I’ve been poring over home and architecture magazines since I was a teenager, I just didn’t realise how much I loved it until we did our first house renovation about ten years ago. I couldn’t get enough of it! While I had enjoyed many years as a successful marketing executive, I realised that what I really loved doing was designing great interior spaces, everything from hunting down the right furniture, fabric and decorator items, to the best part of the process – bringing it together to create a beautiful room. A room that not only gives you pleasure every time you walk into it, but is also well lived in, practical and the source of great memories. So the first step was to get some training. I completed a Certificate of Design in Interior Decoration at RMIT and decided to set up my own online consultancy. As a qualified professional designer, I felt there was a gap in the market, where there were many people who wanted their homes to look good but didn’t know where to start. And didn’t want the cost of a full interior design consultation. And so Blooming Rooms was born! My two gorgeous boys and doing everything I can to help them be the best they can be – happy, healthy, respected, loving and loved! Reading, cooking, walking, swimming and just generally chilling out!